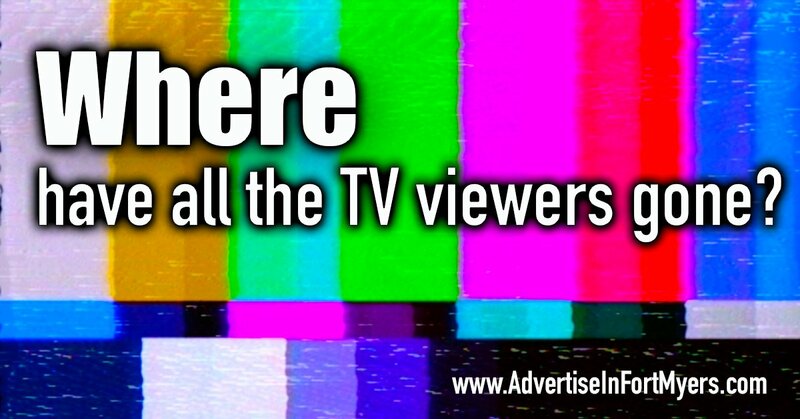 For most of my lifetime, television advertising was considered the "gold standard" of marketing. For a Southwest Florida small business owner craving massive reach, TV used to be the only medium that could deliver. 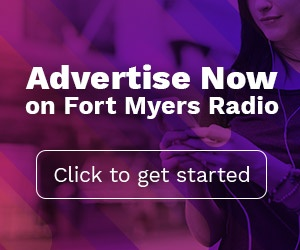 Over the past few years, however, advertising on Fort Myers radio has become the dominant medium for achieving reach as television audiences dramatically erode. Take last week for example. 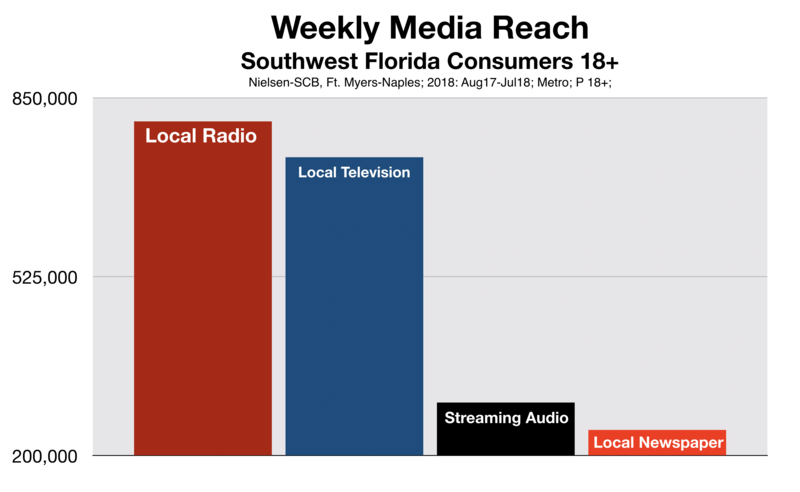 Almost 807,00 adult consumers tuned-in to their favorite Fort Myers radio stations. 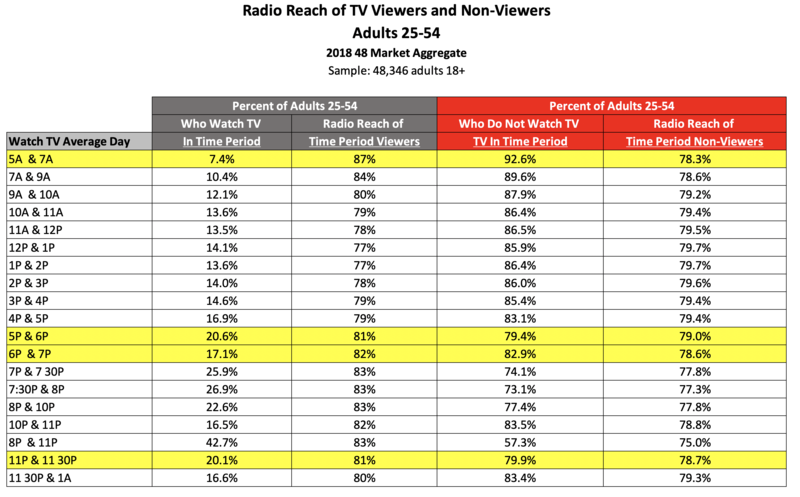 This is significantly more than the 742,1900 consumers reached by area TV stations. For the past 40 years, Fort Myers radio has reached more than 90% of all consumers. 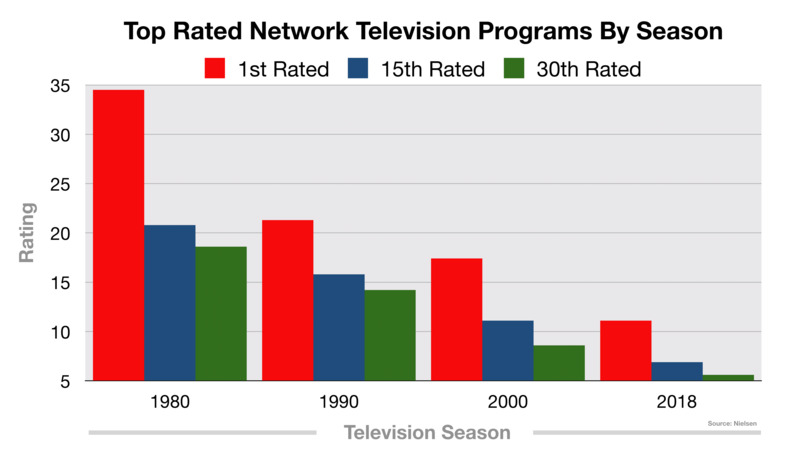 But, look what has happened to TV's audience. Radio advertising can help Southwest Florida small business owners who have been depending on television to reach their target audiences. In August of 2018, Deloitte,the world's largest business consulting firm, radio "should be a big part of the mix for those buying advertising."